Rise & Shine Interview: Rachel MacDonald | Arianna Merritt, M.Ed. Ever wondered how authenticity and joy can fuel you to live your best life? I'm excited that today, Rachel MacDonald, is “Speaking From the Heart” and sharing her experiences with all of us. 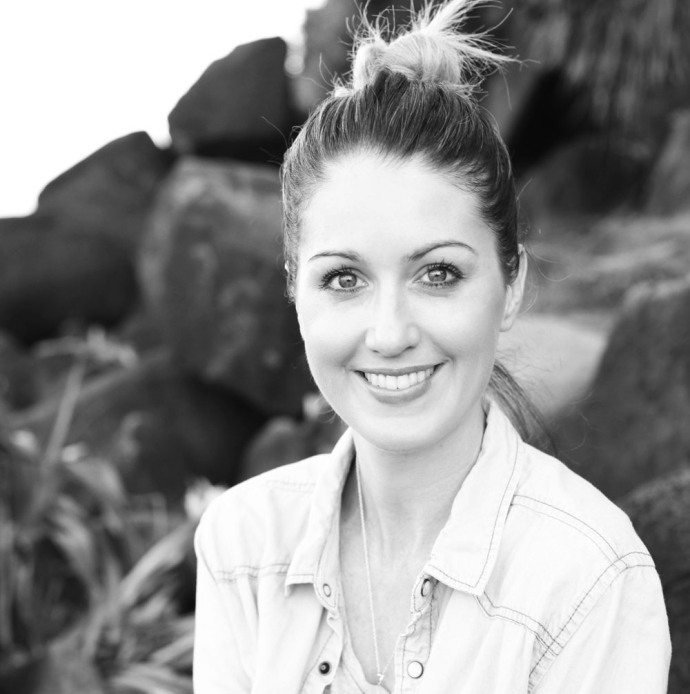 Rachel MacDonald is a Life and Blog Coach, Co-author of Spirited: Soulful Lessons on Clarity, Connection + Coming Home (to You), and creator of In Spaces Between from Australia. Problogger deemed her one of the "Top 15 Bloggers to Watch in 2013" and through one-on-one coaching, online programs and speaking events, Rachel is on a mission to move women into their magnificence by empowering them to dream bigger, slice through fears and limiting beliefs, connect back up to their true selves, and own their greatness. For more from Rachel, join the In Spaces Between tribe on Facebook and grab your FREE copy of her popular eBook More Magic, All the Time: 20 Ways to Create Your Best Life Ever by clicking here. I am really inspired by Rachel's vision and passion, so I asked her to be part of this series; she is a mentor to me. Read her interview below. The thing about us humans is that our soul is always in pursuit of its authentic expression, so we’ll only get so far living a life of playing small or hiding away. Speaking from the heart with conviction to me means feeling abundant, inspired, strong, energized, and true. The opposite of that, unfortunately, is living as a half-baked, fearful, stuffed down version of who you can really be, and from experience, I know which one I prefer! I’m a big fan of making sense of life and getting to know yourself via the pages of a well-loved, messy, colourful journal, so I guess you could say writing has brought me home to my inner wisdom, in the fullest sense. Once you commit to live from the place where authenticity, intuition and inner guidance lead the way, that then becomes the baseline and it empowers the rest of your life. It’s present in the way I do business, the way I blog, the way I love, and the way I honour myself. It’s been a continual process of honing. Showing up, committing pen to paper – or keystroke to blank screen – letting the words roll out, and being guided by truth. Is this me? Am I trying too hard? Is that what I really think or am I censoring? When I switch gears from free-flow, unedited writing to polish-it-up editor mode, I’ll always bring it back to questions like that to make sure the piece of writing is truly SELF-expressed. A little note here: my writing voice can change slightly (or significantly) depending on what I’m writing. It’s still always authentically ‘me’ but the delivery might be different because it’s another element of me coming forth. Sometimes I might be more soulful and poetic, whereas others might be light ‘n’ bright; whatever suits best. Sharing my writing has never really been an issue for me. I had a desire to write regularly, I wanted to connect with kindred spirits, and I loved that the blogging platform allowed me to do that; so, off I went. Starting a blog has been one of the best things I’ve ever done. This usually means stillness, self-compassion and gratitude journaling, or a dance around my lounge room with the music pumping, or giving myself permission to take the rest of the day off and getting outside for a walk. There’s something magical about nature and unblocking stagnant energy through exercise that seems to work a treat. When I think about my support group, I get a vision of this big, beautiful melting pot of people who I’ve had a pleasure of meeting, connecting with, and enjoying both online and off. There are my readers – friends – who generously drop me a line, leave a thoughtful comment, or pop up on social media to say hi; my soul sisters who have – thank god! – found their way to me through the wonder and mystery of this online world we all play in; and of course, my husband, family and dear friends that have been by my side forever. I feel incredibly blessed to have every one of them enrich my life in their own special way. Amazing people! Read The War of Art by Steven Pressfield. Just start. You’ve SO got this. Know that we’re here, cheering you on. One question that came to my mind after reflecting on what Rachel said was, “What small thing could I do right now to start feeling good again?” Many people struggle with this, so I’m reaching out to you all and asking for your input. Looking forward to hearing your suggestions!